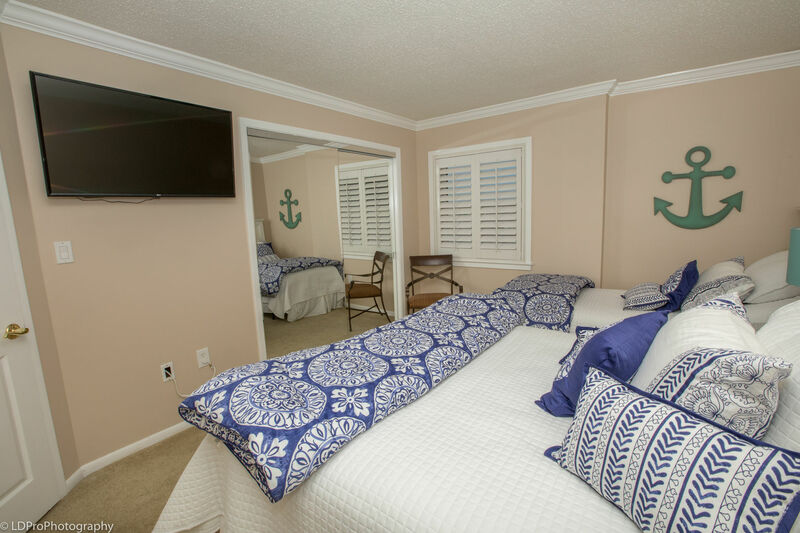 Inlet Reef 309 - Holiday Isle Properties, Inc. 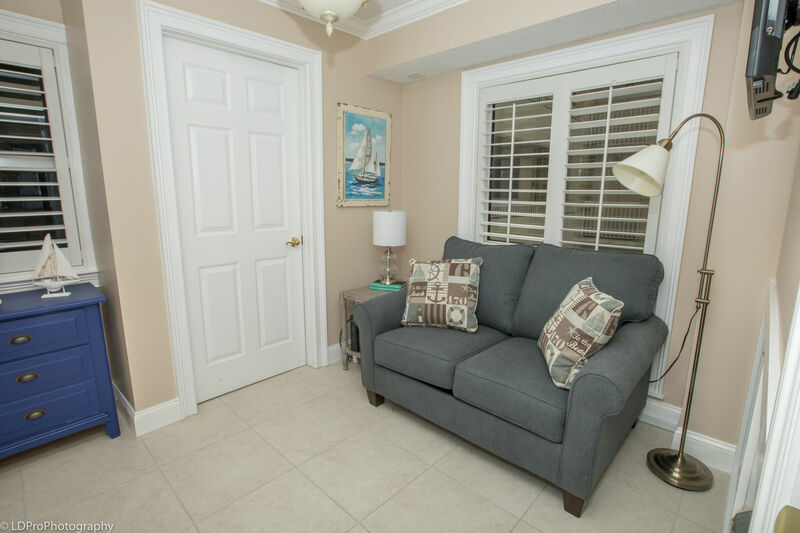 Step in to this beautiful 3BR Inlet Reef condo and start enjoying your relaxing Destin vacation. 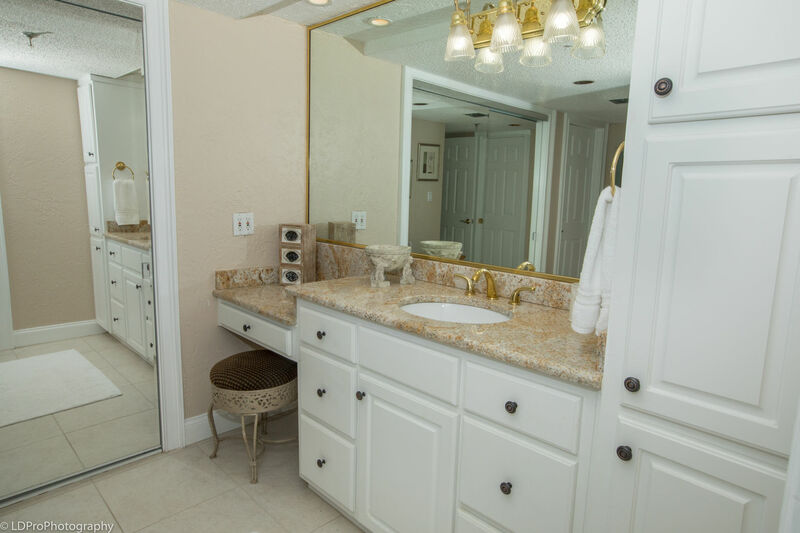 This wonderful 2200 sq. 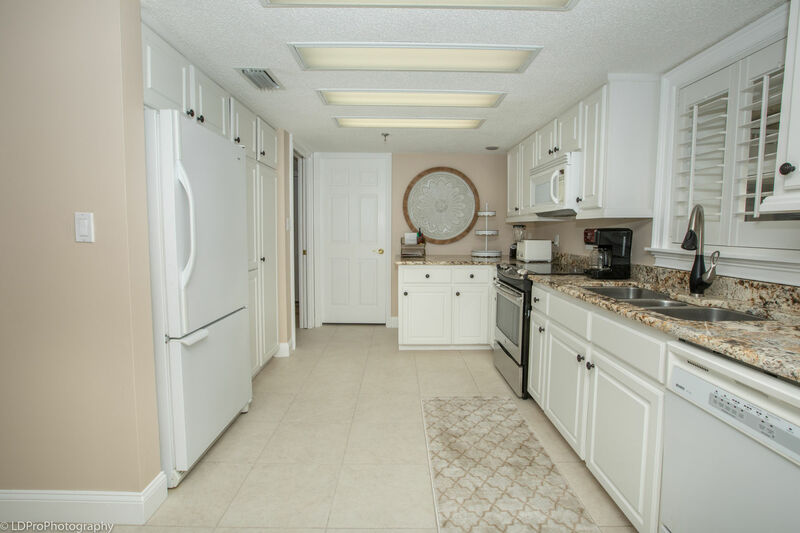 ft corner unit is one that you will not want to miss. 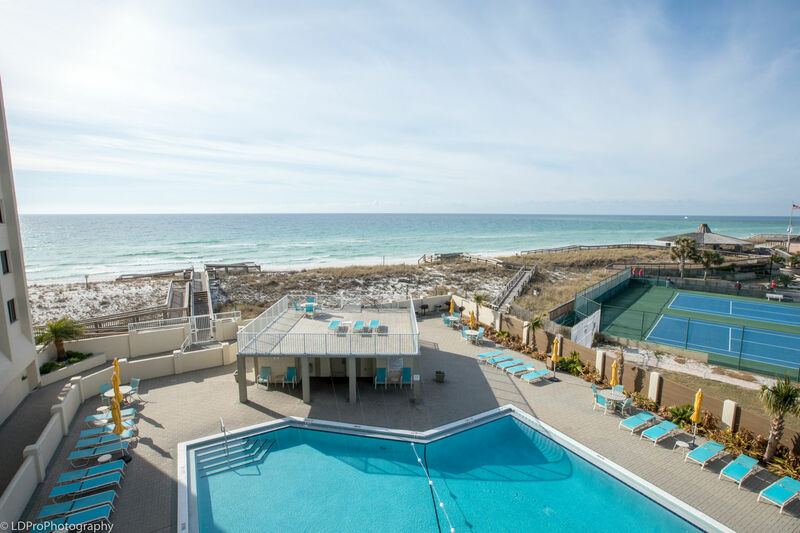 Unit 309 is an extra large 3 bedroom/2 bath condo overlooking the best of everything...pool, shuffleboard, and panoramic gulf views from the kitchen, dining room, living room and master bedroom! 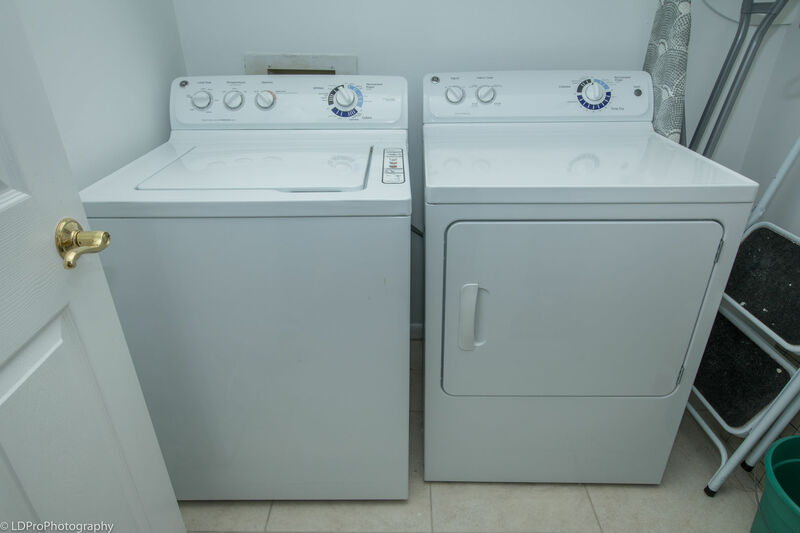 In addition to the 3 bedrooms, this unit has an additional area that is perfect for children to play games, watch movies/tv and even has a new twin sleeper sofa. 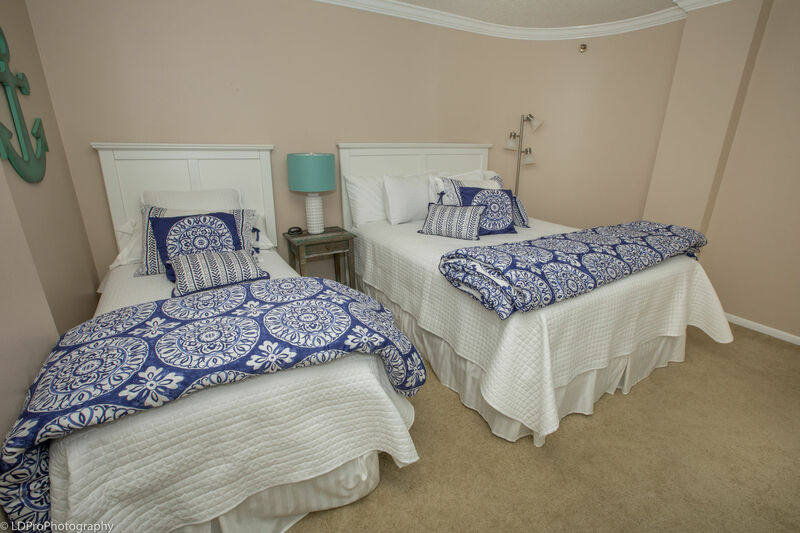 Unit 309 sleeps up to 8 comfortably with all new (2018) mattresses and bedding. If you are looking for comfort, you found the right place! 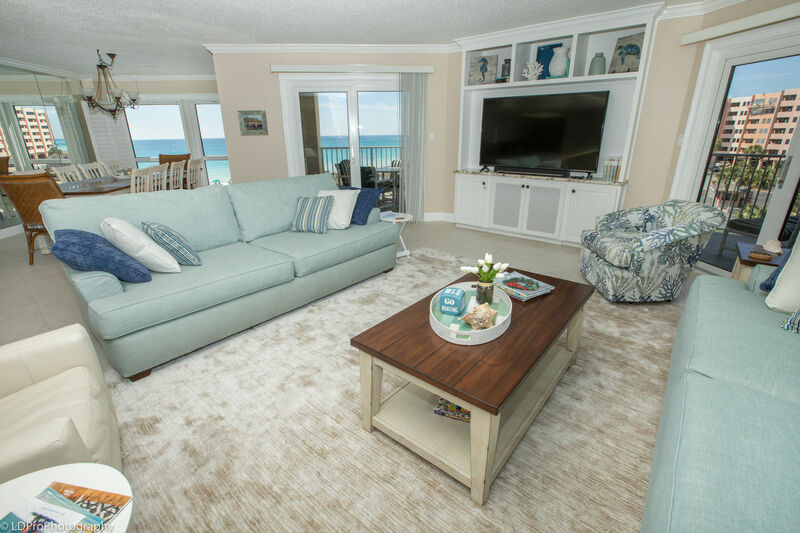 The living area boasts of 2 extra large, comfy sofas with additional seating. 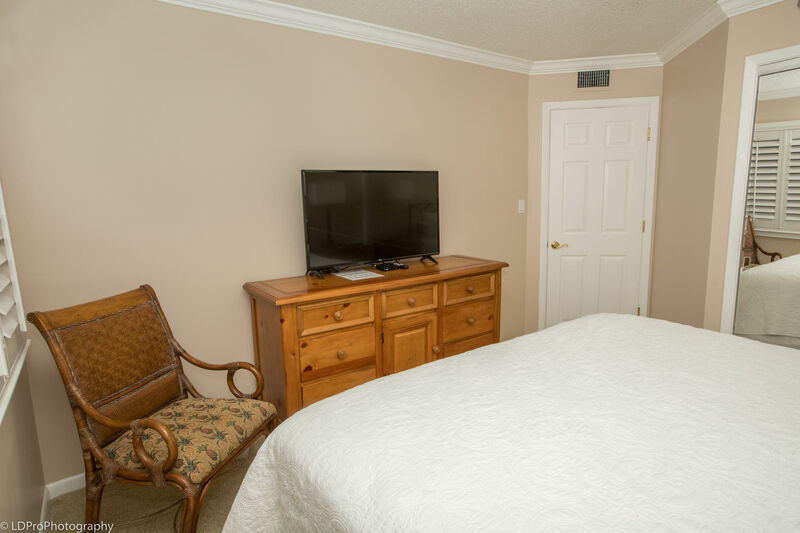 The whole family can watch movies or their favorite sports team from the awesome 65" LED flat screen tv. 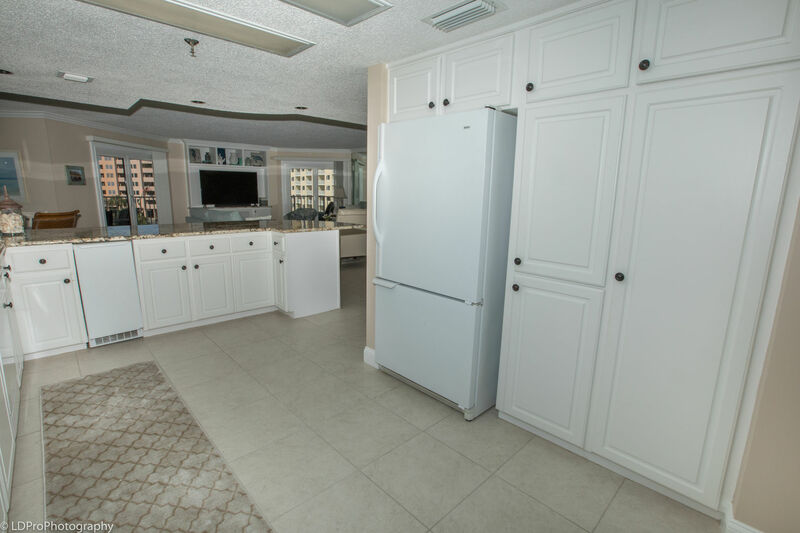 The spacious kitchen has everything you will need to whip up your favorite meal with all major appliances, including a stand alone ice machine. 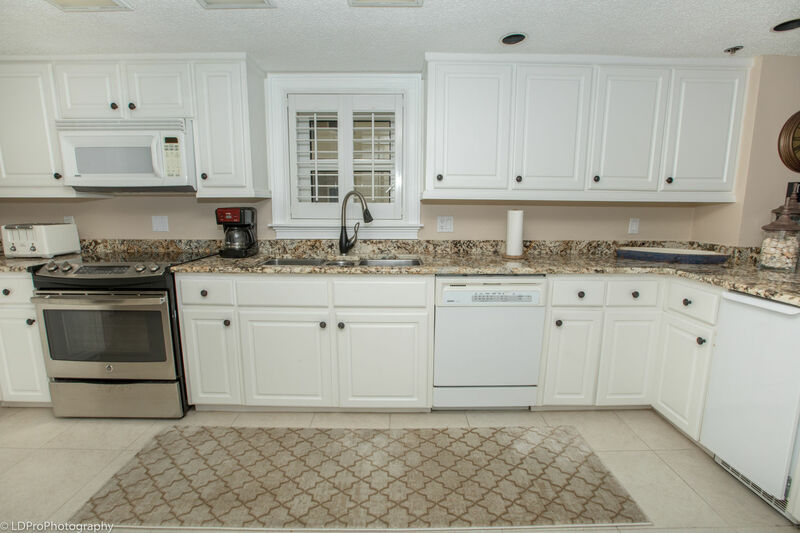 There are plenty of cabinets and counter space with bar seating for 4. 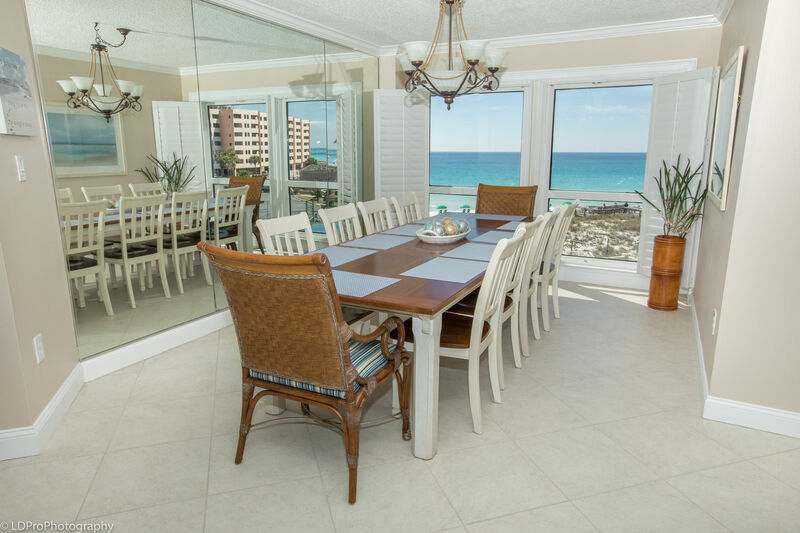 The dining table seats 10 and has magnificent views of the Gulf. 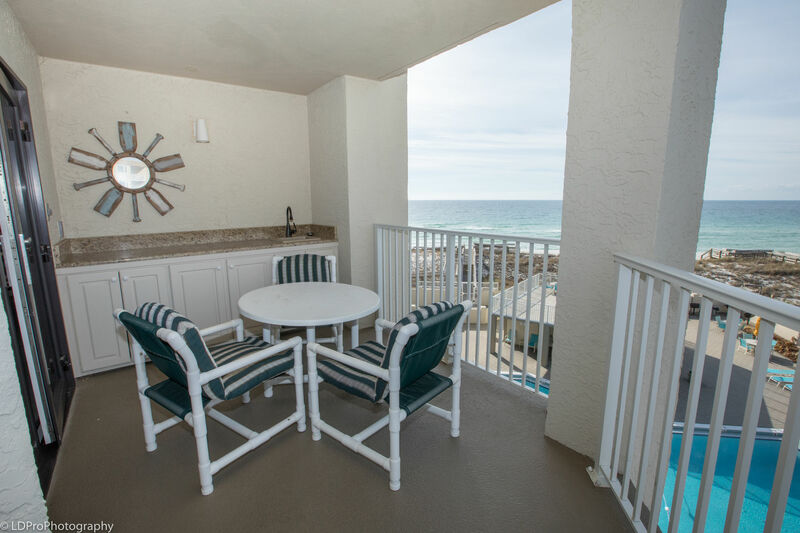 Family and friends can comfortably enjoy meals together while spotting dolphins and watching the boats sail by. 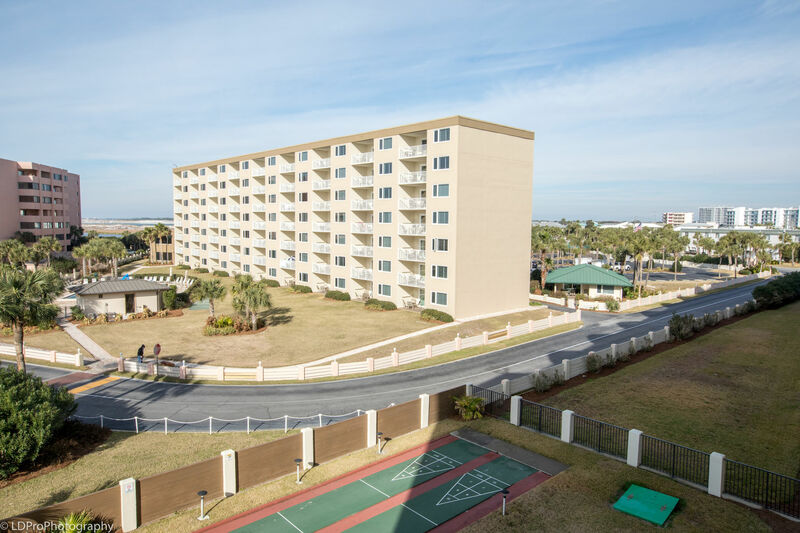 The large balcony has wonderful panoramic views. 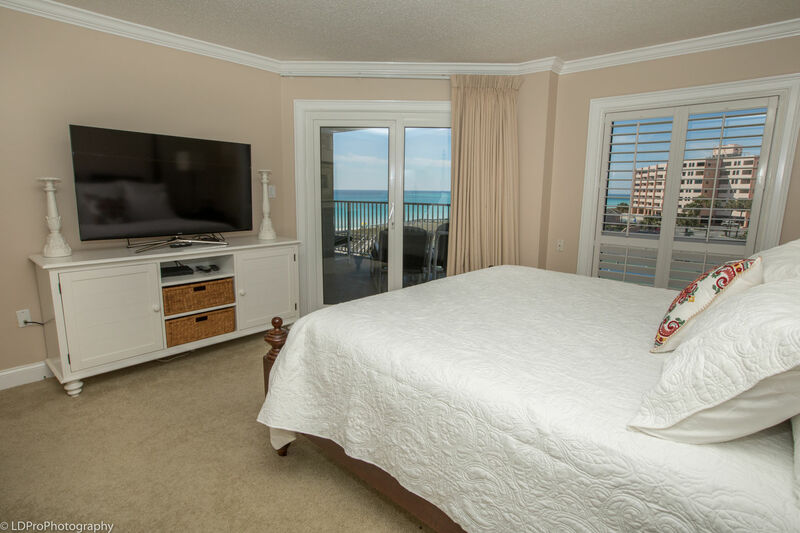 Check in for the night and have a restful night of sleep.The master suite has a king size bed, gulf views, balcony access and a 55" LED flat screen tv to enjoy with a DVR player. 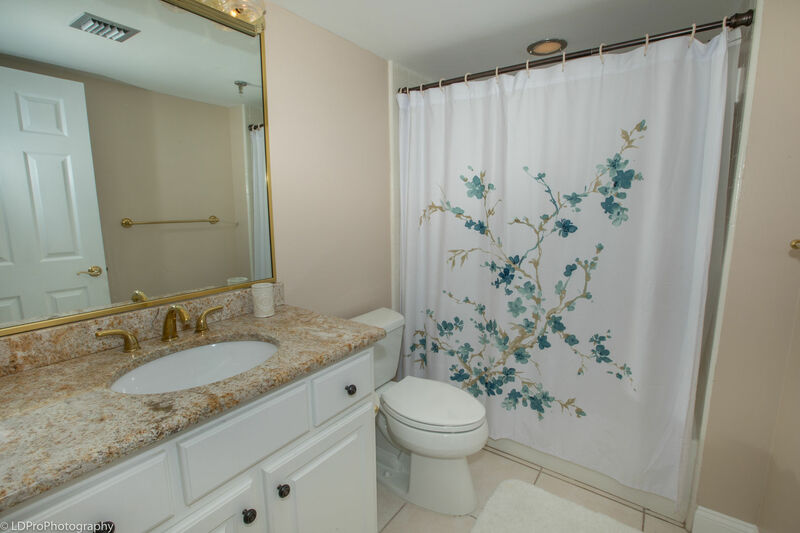 The large bathroom has a sink/makeup area that can be separated by a door to the stand alone shower AND a bathtub/shower combo. 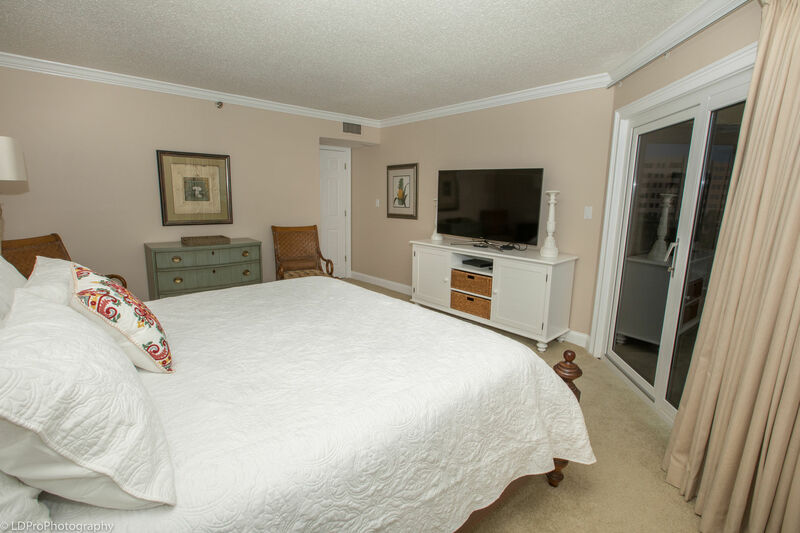 An entry hall leads to the bedroom areas with the master on the left and the additional 2 bedrooms on the right. 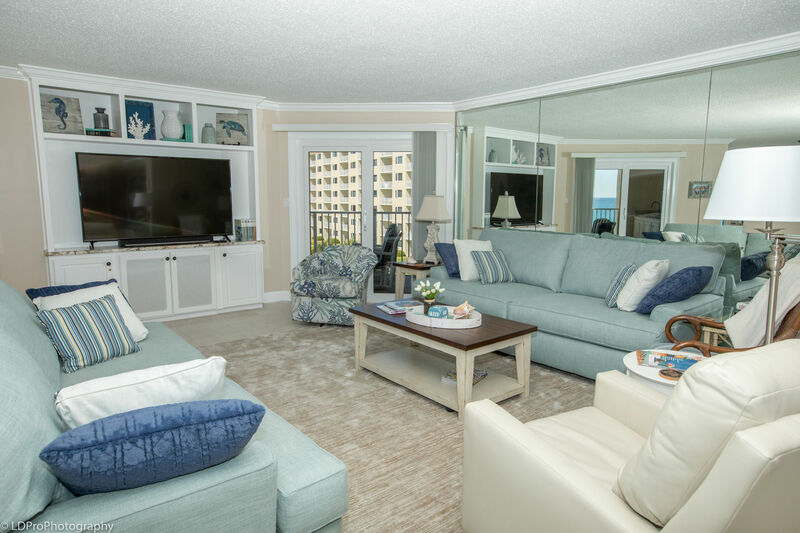 Both sides can be closed off from the living area of the condo. 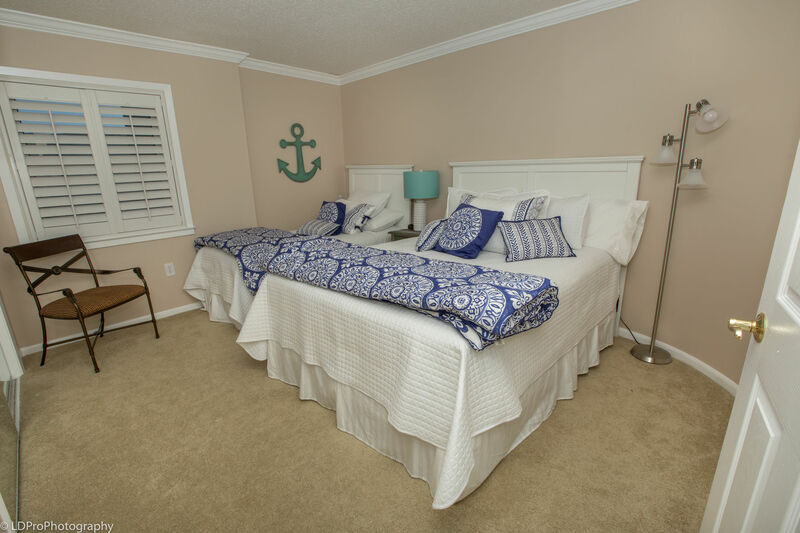 This is a great arrangement for tucking in the little ones early after a long day at the beach. 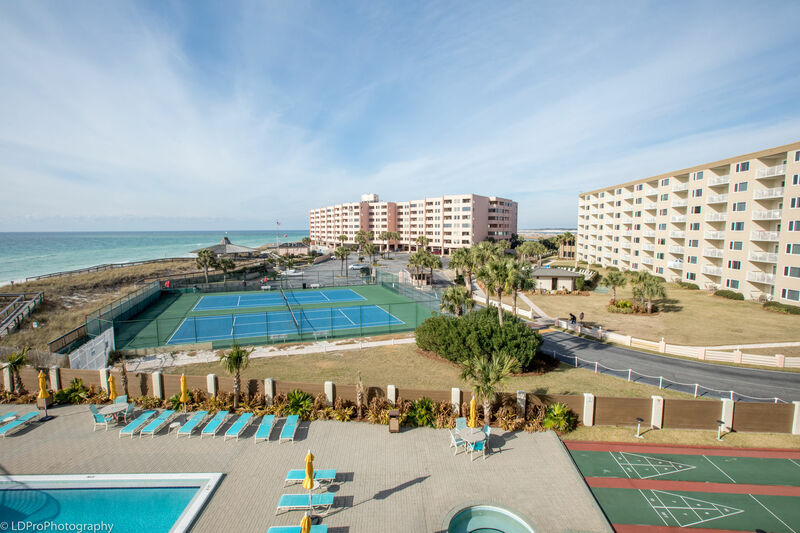 Comes with FREE beach service during season 2 beach chairs and umbrella! 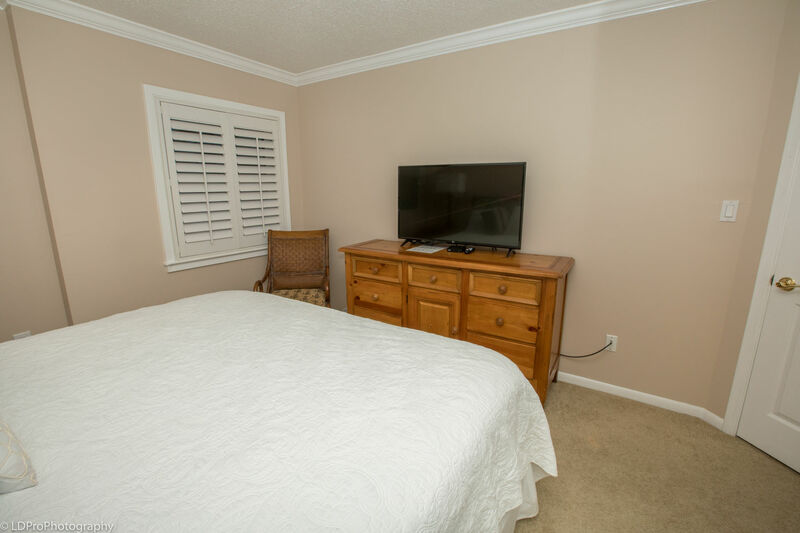 The second BR has a king size bed, a large double closet and a new 42" LED flat screen tv. 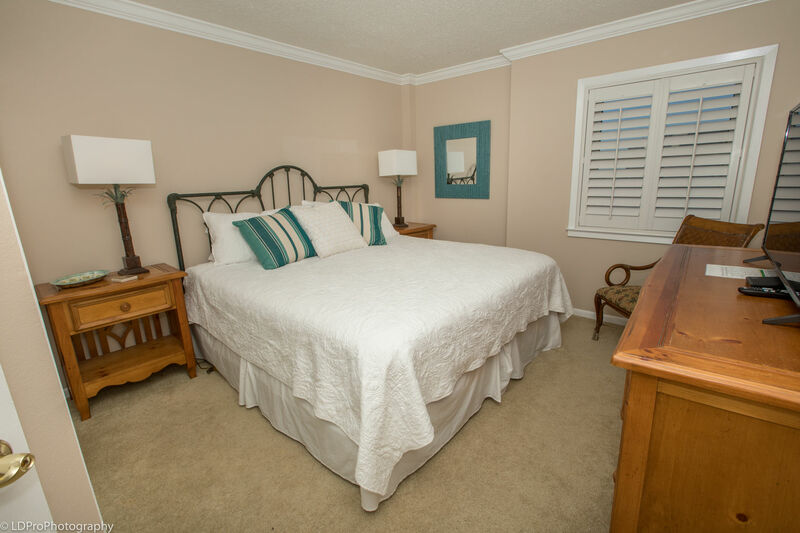 Bedroom three has a queen size bed AND a twin bed, along with a 42" wall mounted LED flat screen tv and good closet space. 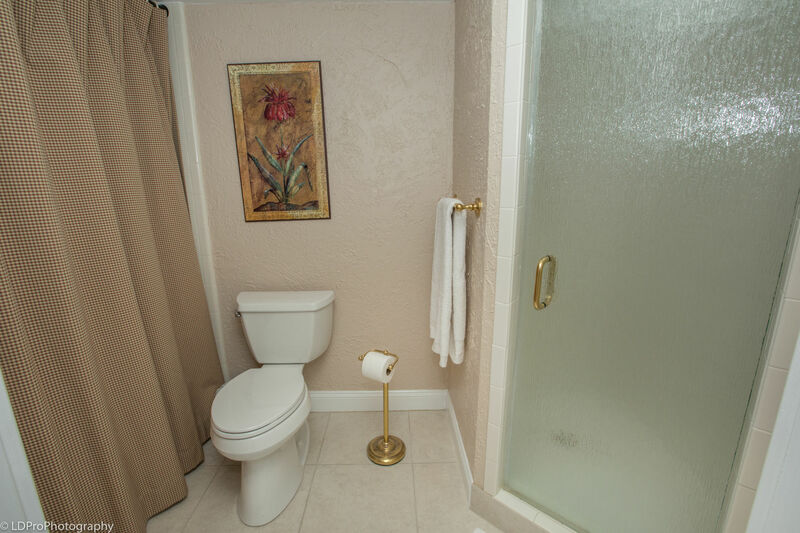 Both bedrooms share a bath with a shower/tub combination. 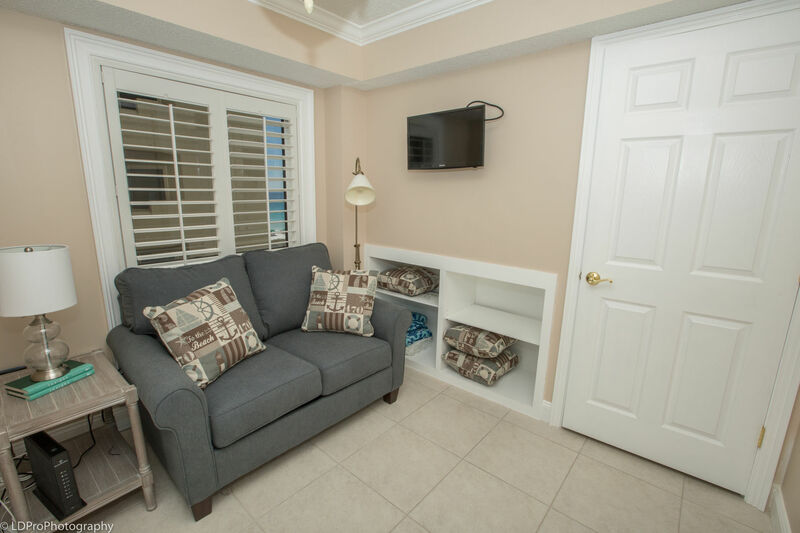 Don't forget about the kid's nook with an additional twin sleeper sofa with an upgraded memory foam mattress! 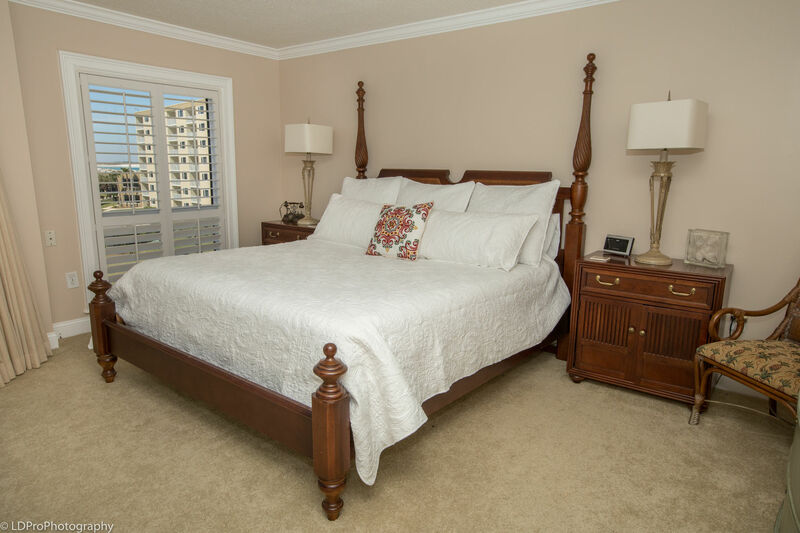 The owners have worked hard to create a comfortable and inviting vacation condo ready for guests. Fun times and special memories await with family and friends. 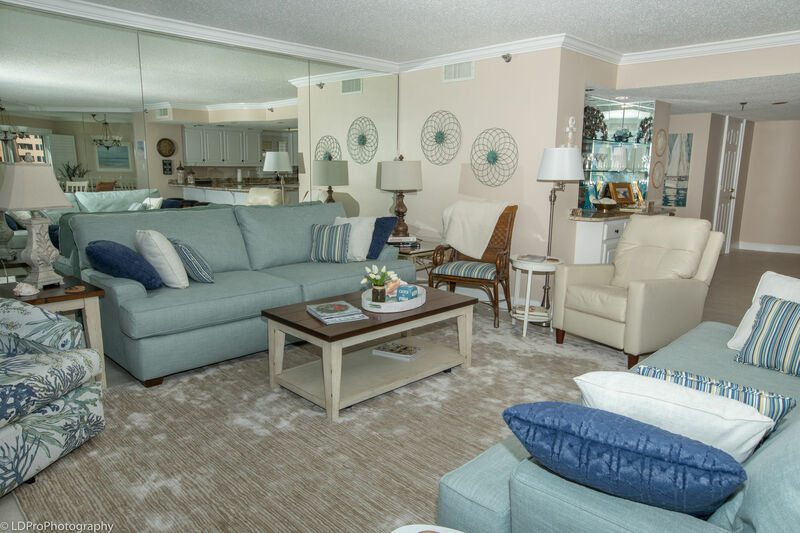 The owners, themselves, rented at Inlet Reef for 30+ years. 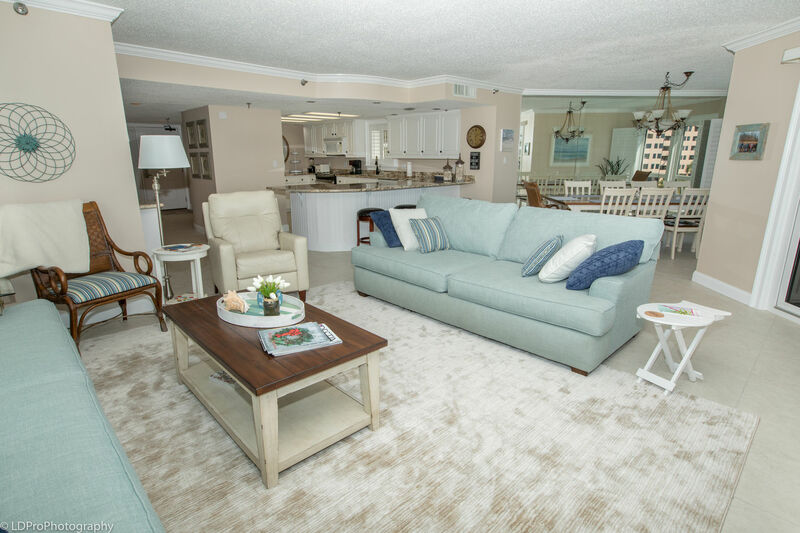 As recent condo-owners, they invite you to come see why Inlet Reef is such a special place to vacation!